SMPTE opened registration for the SMPTE 2017 Annual Technical Conference & Exhibition (SMPTE 2017), Oct. 24-26 in Hollywood, California, as well as for the SMPTE 2017 Symposium, preceding the technical conference and exhibition, on Oct. 23. Early bird registration rates are available through Aug. 12; hotel group rates are available through Sept. 20. SMPTE's Annual Technical Conference & Exhibition is the world's premier forum for the exploration of media and entertainment technology. Taking place at the Hollywood & Highland Center, the event will fill two exhibit halls and multiple session rooms. SMPTE 2017 will also feature a beer garden, Broadcast Beat's SMPTE 2017 Live! Studio, and a series of special events culminating with the SMPTE Annual Awards Gala hosted in the Loews Hollywood Hotel's Hollywood Ballroom on the evening of Thursday, Oct. 26. "The rapid pace of change in the media and entertainment industry makes the SMPTE Annual Conference & Exhibition a critically important event for anyone wishing to experience and understand the latest advances in motion-imaging and audio," said SMPTE Education Vice President Richard Welsh. "For four days in October, Hollywood will be the place to learn about the research, standards, technologies, and techniques that are enabling amazing new experiences for media consumers worldwide." 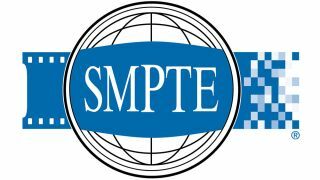 The SMPTE 2017 technical conference program committee is chaired by SMPTE Fellows Paul Chapman, senior vice president of technology at Fotokem; Thomas Edwards, vice president of technology and engineering at FOX; and Sara Kudrle, product marketing manager at Imagine Communications. Technical conference sessions will address topics including advances in display technologies; cinema processing and projection technology; larger color and dynamic range; compression; content management and storage; restoration and preservation; content security; virtual, augmented, and mixed reality; media infrastructure (SMPTE ST 2110) and distribution; image acquisition and processing; new techniques in audio; quality assurance and monitoring; workflow systems management; cloud technologies; and encouraging diversity in technology. The daylong SMPTE 2017 Symposium on Oct. 23 is titled "Artificial Intelligence (AI) and Machine Learning in Digital Media Creation: The Promise, The Reality, and The (Scary?) Future." The Symposium will examine how AI and machine learning technologies have gained significant traction in the creation of digital media. Speakers will offer practical use cases throughout the production chain — including story and script development, music composition, contextual analysis of dailies, edit preparation, imaging processing, visual effects (VXF) preparation, and audience engagement, along with discoverability and distribution of content. Experts, visionaries, and thought leaders in the field will assist attendees in establishing a firm foundation for understanding these technologies, which may eventually disrupt the media and entertainment industry. The Symposium is included with select conference packages, as an add-on, or as a stand-alone registration. The conference and exhibition schedule includes the usual wealth of technical sessions as well an array of special events affording plenty of opportunities for face-to-face, real-world interaction between attendees, exhibitors, and speakers. Tickets for many SMPTE 2017 events are limited, and early registration is encouraged. Attendees also can save by taking advantage of the SMPTE group room rate at the Loews Hollywood Hotel, where a limited block of reduced-rate rooms will be available through Sept. 20, or while rooms remain available.